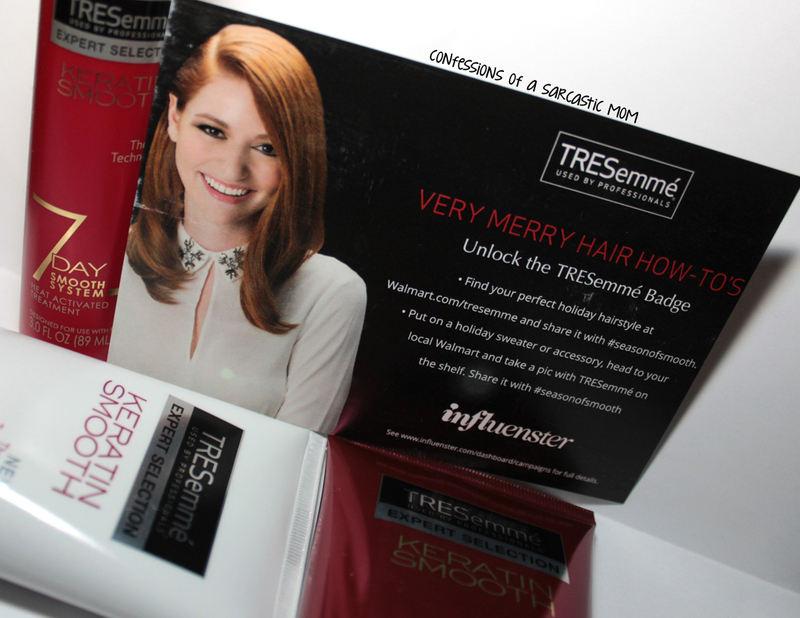 I was recently given the opportunity, through Influenster, to try out TRESemme 7-Day Keratin Smooth products! I'll be up front in saying that the products did what they were designed to do, but they did not work with my scalp. My scalp hates me. I received the shampoo, conditioner and heat-activated treatment. The first step, obviously, is to wash your hair with the shampoo and follow with the conditioner. 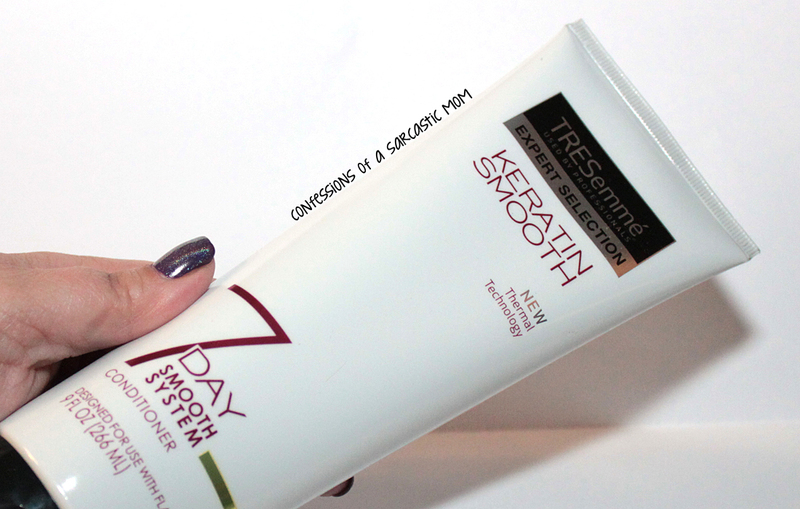 The combo left my hair clean and manageable, and it didn't have a waxy feel like some conditioners give my hair. 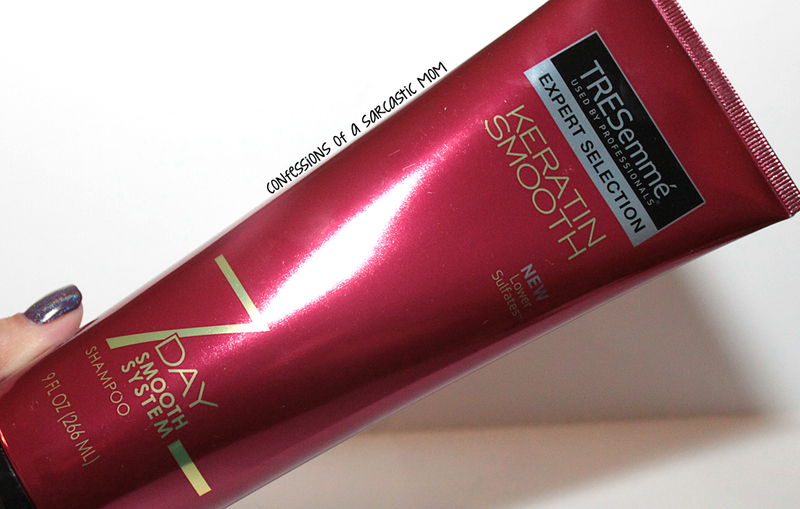 Once you've washed your hair, if you are styling your hair with heat, use the heat-activated treatment. It has the consistency of a thin lotion and is white, Use about 8-10 pumps of the product and work it into your wet hair. Blow dry your hair and style as usual. I used my flat iron. The instructions say to keep using the shampoo and conditioner for the rest of the week. The treatment is supposed to stay active even through washes. I continued using the shampoo and conditioner for the week, as it said, but my scalp started itching so much by the end of the week that I couldn't take it. I mentioned my scalp hates me, right? However, the good thing is these products did keep my frizzies to a minimum for a week, and styling my hair was easier. So if your scalp isn't a hater like mine, I would definitely recommend these products.